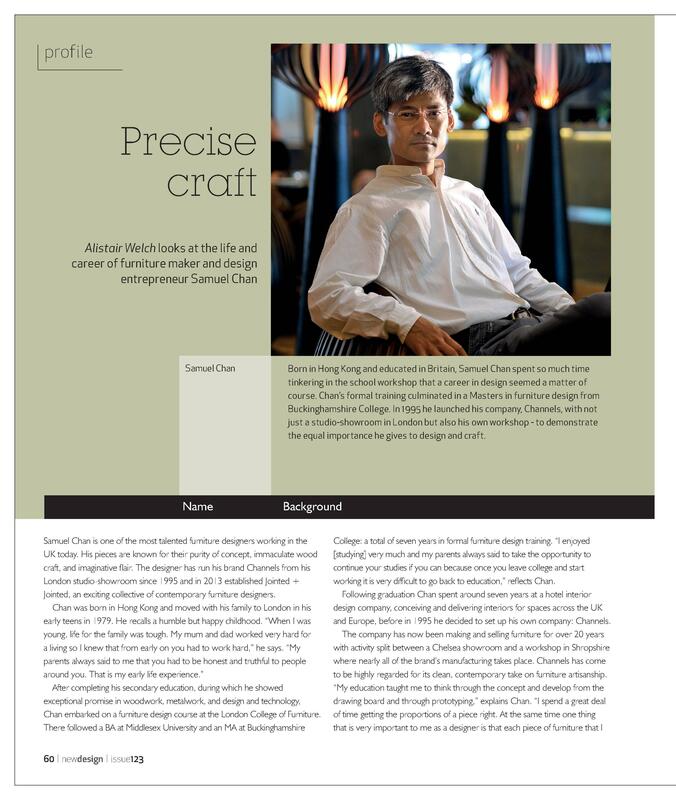 Feature on Samuel Chan in new design, July 2016. Profile piece in OnOffice Magazine, November issue, 2016. New book featured in Homes & Gardens magazine, October 2016.
Review of new monograph on Samuel Chan in new design, July 2016. 'Shoe Tree' featured in Wallpaper* magazine, August 2016. Column I featured in the Sunday Times, 2016. 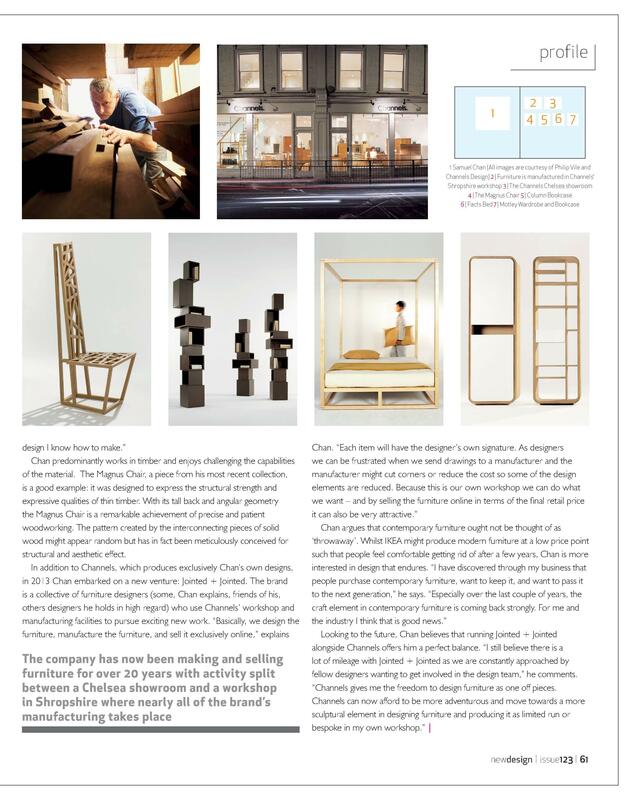 Interview featured in Livingetc Magazine, March 2014 Please view the Press section for more on awards and reviews.